for those of you who havent heard there is 29 men trapped in a coalmine on the west coast of NZ today all hope of them coming out alive has taken a huge blow. A second huge underground explosion today has removed most if not all chance they could still be alive. my thoughts go out to thier families. Yes sad to hear the latest news. Thoughts and prayers to all family and friends affected. Does'nt sound good for them. Everybody thinking of them down here. Mate, just heard about the second explosion over the news. It seems that the rescuers gave up on any chance of finding anyone alive.. Thoughts and prayers to the families and friends. I just seen a video of the first explosion at new york times website, unbelievable. My family and I have been following this disaster since it first hit the news over here in Australia...so terrible. 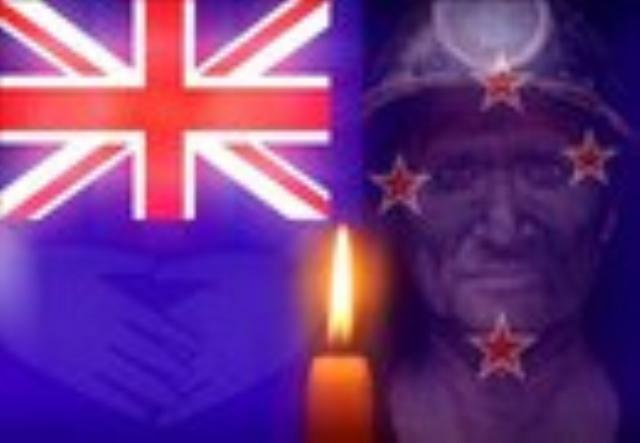 My heart and prayers go out to our NZ brothers and sisters, the families and the 29 courageous men and boys...regardless of age, they are all men...who it appears have paid the ultimate price for mining coal beneath the Earth's surface. My heart is saying, "Don't give up on these miners, its not over yet"...but my mind is saying "I cannot see how they could survive this last devastating explosion". For the sake of the men and their families I hope my heart is right. These miners will be in my prayers tonight, and every night, till the end of this disaster. Wendy Badior posted the following on her Facebook page...it says it better than I ever could. ♥ The church bells rang 29 times so we knew it was final and the end of the line. Now 29 miners are at heavens gate with coal silt dirty faces asking is it 2 late? When god replies with half a grin no my children come on in. They place their mining lights gently on heavens floor when god said "job well done" leave your boots at the door. Thanks for letting us know. Prayers coming your way for the families. Very sad. I just heard about this on the news. My prayers go out to all the families and friends. Hopes and prayers from me to them..
Do you guys have a web address where I can see the news over there? having worked the deep mines of western Pa. many years ago, I know what it's like down there, and it's always there way back in your mind every time you step on that cage. I have special prayers for the families. I know a couple of the guys that are down there for the police, one who is the National SAR Coordinator looked absolutely Farked when I saw him on TV. Knowing what's now happened I'm glad I'm not on the National DVI (disaster Victim Identification) team. Them guys are gonna earn their money. My thoughts go out to the entire community down there. Time to rest until your loved ones can join you. Just heard on the news that there was another (3rd) explosion at the mine and the rescuers can't get to the bodies of the miners. This is not good for the families and friends of the miners.